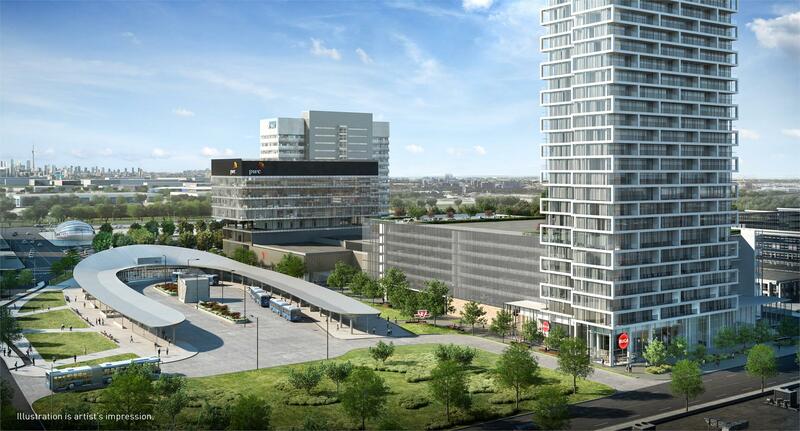 The tallest development in the York Region is set to be steps away from Vaughan’s new TTC subway station. 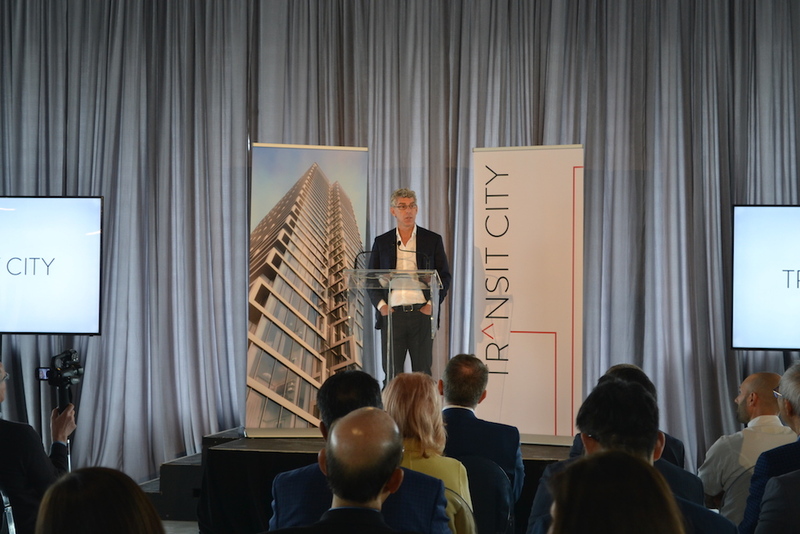 Transit City, by joint partners SmartREIT and CentreCourt Developments, was announced today at a press conference as the first residential tower to be built in master-planned community SmartCentres Place. Located in the new Vaughan Metropolitan Centre, the 55-storey condo tower will also be home to the first Buca-branded restaurant and Bar Buca outside of downtown Toronto. The chic restaurant will be located in the tower’s boutique hotel-inspired lobby space and will provide morning to evening service, along with food delivery for residents. “It will be a neighbourhood spot where people can come and go all day long,” says Rob Gentile, Chef Director of King Street Food Company. “In the inspiration of Italian lifestyle, you have your all day offering and your offering will change depending on the time of day,” adds Gentile. Designed by Diamond Schmitt Architects Inc., Transit City will have 553 condo units and will be part of the largest urban development in Ontario, SmartCentres Place. The mixed-use community includes 100 acres of land for residential, office and retail space and a nine-acre park. “For SmartREIT and myself, Transit City is the inaugural residential development that we expect will be the first of many at SmartCentres Place and elsewhere across Canada,” says Mitchell Goldhar, Chairman of the Board of SmartREIT, in a press release. While most of its work is in downtown Toronto, CentreCourt’s Chief Executive Officer, Andrew Hoffman, says the developer couldn’t pass up the opportunity to create Transit City. “Historically, we focus solely on the core but given the huge opportunity to be apart of city building up here and to be part of a development program, that will involve all the aspects and all the amenities and having that infrastructure at your doorstep, was a unique opportunity,” Hoffman tells BuzzBuzzNews. Transit City will be steps away from Vaughan’s new TTC Subway Station, expected to open this year. The condo tower will also be next to the new Viva bus terminal. In addition to proximity to transit connections, Transit City will be near urban amenities and a newly purpose-built YMCA, which will be adjacent to the tower. At the YMCA, residents will be able to access the fitness facility, swimming pool, basketball courts, daycare and a City of Vaughan library. 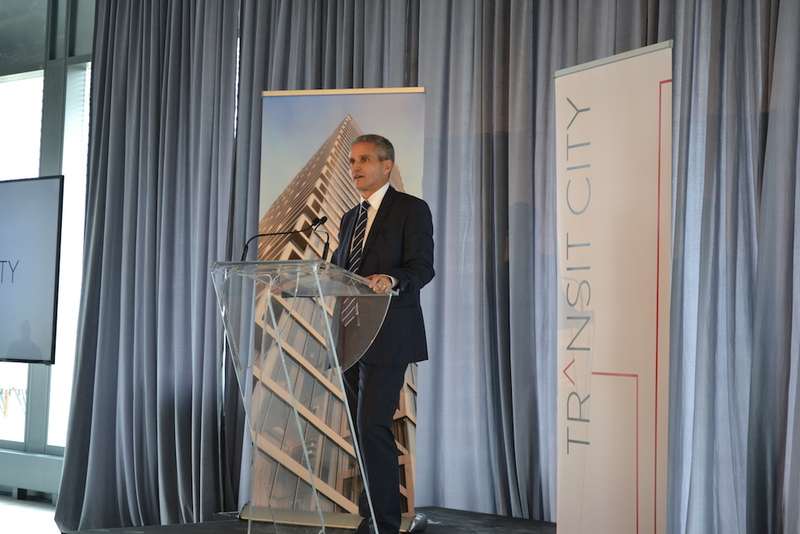 Transit City’s sales launch is anticipated for early June.